The founder of the company, Esko Laurila, started a transport business with his brothers at a young age. In fact, they were so young they had to have their official transport permit under the name of their uncle. Esko and his 4×4 Mercedes loaded with firewood were a familiar sight all over northern Finland, even in the most remote corners of Lapland, at the end of the 1950s. In 1963, Esko started cattle transport, which can be considered the official starting point of E.Laurila Oy Transports. The first vehicle was a Bedford, followed by the legendary Scania 50 Super, which became a regular sight at harness racing tracks. 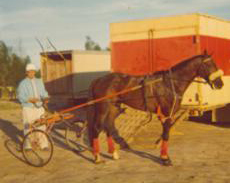 Morjak, a stallion owned and driven by Esko, was among the elite warmblood trotters in Finland at the time. 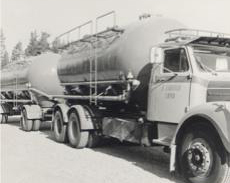 Trucks changed into tanker trucks at the beginning of 1970s. The first liquid transported was milk in 1972 followed by starch and flour in 1975. 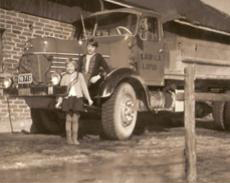 The company has always hauled a great variety of goods, ranging from liquids to logs, but at some point E.Laurila Oy started to specialise in the varied tanker truck business. Years have gone by and times have changed. Esko is enjoying his well-earned retirement in the village of Kojolankylä in Lapua, Finland and spends his time with his grandchildren and, of course, his horses. The second generation, brothers Jarmo, Vesa and Tuomo, continue to carve out the more recent history and the future of E. Laurila Oy.